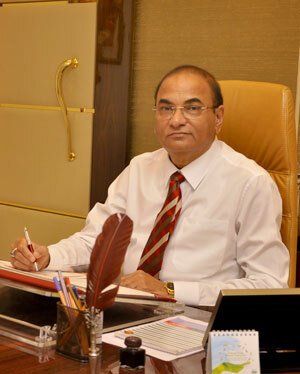 Dr. P. D. Patil is the architect of Pune’s academic complex-Pratisthan! He is the one who has transformed the vision of Padmashree Dr. D. Y. Patil into reality! He has done it, by establishing many quality institutions within a short span of time. The credit of the rapid and meteoric rise of the Pune complex goes only to Dr. P. D. Patil. It is his dedication and commitment that has catapulted the institutions into international level. Dr. Patil’s contribution to the field of education has been highly recognized. Due to his understanding and acumen in the field of education, he has been the member of many organizations like Consultative group- Higher & Technical Education, Planning Commission, Govt. of India,Planning & Monitoring Board of National Brain Research Centre (NBRC), Manesar Haryana, Nominee of University Grants Commission (UGC), Management Council, University of Pune as the Chancellor’s Nominee (His Excellency, Governor of Maharashtra),Board of Governors of the Yashwantrao Chavan Academy of Development Administration (YASHDA), Pune. Not only that, Dr Patil’s endeavors’ has been exceedingly appreciated and recognized by the education fraternity and others. He was awarded the Pradnya Vant Puraskar ( 2017),Jivan Sadhana Gaurav Puraskar( 2017), Jivan Gaurav Puraskar( 2016),Yeshwant- Venu Puraskar ( 2015), Samaj Shri Award( 2005), Rashtriya Ekta Award ( 2004), Bharatiya Chikitsak Ratna AwardMan of the Year (2003),Morya Puraskar (2003) and the Pimpri Chinchwad Bhushan Award (2002).